AND Traditional Move-in Ready Phoenix Homes! Just think of it…instead of having a Realtor drag you from house to house wasting your time showing you homes that don’t interest you or driving around calling on signs… Our exclusive Elite Phoenix Home Hunter System allows you to pick which homes you want to view before other buyers even know about them. You get daily e-mail updates of all new home listings matching your home buying criteria FREE of charge. 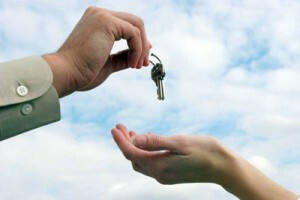 You get first pick of homes that interest you and the ability to beat other buyers to an offer. Because YOU are there 1st before most other buyers, we are able to negotiate the lowest possible price for you. Most importantly, your time isn’t wasted viewing homes you have no interest in. The Elite Buyer Program is for the serious home buyer . This program is designed to locate the best home at the best price that fits our client’s exact needs, and even Guarantees our Elite clients 100% satisfaction with their home purchase or we’ll resell your home for FREE up to a full 12 months! The requirements for this program are a desire to buy in the next 3 months (having a home to sell first does NOT disqualify a participant, however, may extend the time frame to assure the Elite buyer does not have to support 2 mortgages), must have a clear idea of their ideal home to assist in the search, and must be available to view candidate homes as they come on the market. 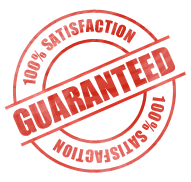 After meeting these requirements , you (the Elite Buyer) will receive our 100% Buyer Satisfaction Guarantee. That’s right, live in the home, make sure it feels right and if you are dissatisfied with your purchase, we’ll resell the home for FREE! This Elite home hunter service is NOT for the casual buyer, and we reserve the right to refuse this service to allow us to focus our energies on our serious candidates. If you are interested in applying for this program, please take a moment to fill in the form below and we will contact you right away to begin the process of finding you the perfect home! Just fill out the form below and click the SUBMIT button at the bottom of the form.